Reach, Zahlers active nutrition line, Restores Energy And Cuts Hunger. 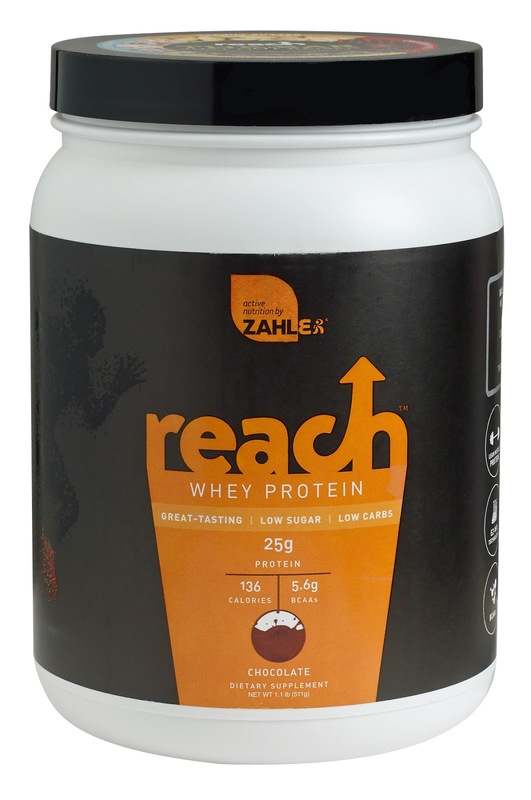 With Reach you'll eat better, exercise harder, do more, be more, you'll REACH for your goals, then you'll REACH further. Then you'll REACH for another REACH. The word protein is derived from the Greek word Proteios, meaning Primary, alluding to its great importance to our diet. Protein is essential to practically every part of the body, from hair and skin to muscle and tissue. Whey protein is popular among individuals who have specific fitness goals, like athletes and bodybuilders. Among its benefits, whey protein has a fast absorption rate, which means that not only does it help build muscle, but it also helps repair muscle immediately after a workout. 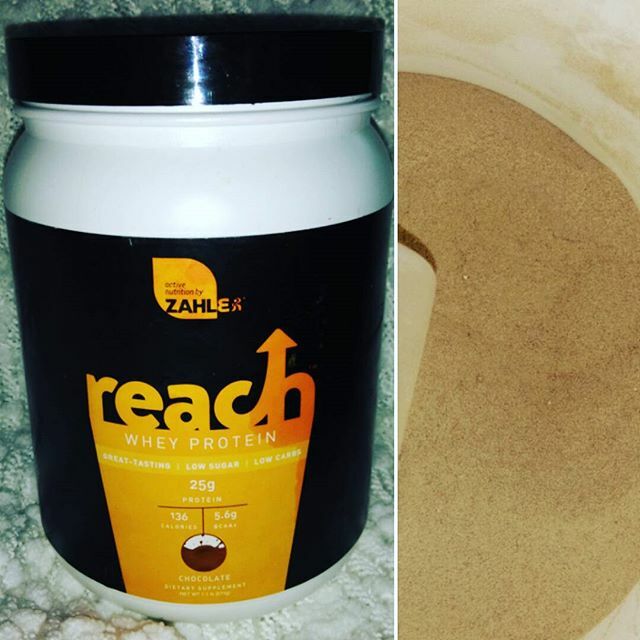 Whey is a complete protein, providing all the nine essential amino acids necessary for our bodies. I love whey protein shakes, they have been a must have in my weight loss journey. I like to use them as a meal replacement, or even as a addition into my meal. I have used many, and I have a fairly good eye of what makes a great whey protein powder / shake. First I will start with the biggest problem I have with this. This is one of, if not the hardest powder to mix into a shake. Because I drink protein shakes regularly, I have the special shaker cups that you use to mix your shakes with. I also have a blender that I use as a last resort if my powder doesn't mix fully in my shaker. I have used both with this powder, and both results were not quite up to my liking. When I use my shaker cup, the powder doesn't completely dissolve, or it becomes almost glue like, and it will stick to the piece inside the shaker, and not fully mix in. It comes out very clumpy. With the blender, I have similar issues, except that after fully blending it to where it's all mixed in, my drink is 95% frothy. Drinking it is kinda strange. I have never had this issue with any protein powder ever. After getting discouraged, I decided to strain the liquid using a strainer just to get out the clumps, and that works! This tastes fantastic, it has a nice, not too sweet chocolate flavor. It keeps me full for a few hours, and I really like it. I just wish that it was easier to make, if it was, this would no doubt be a 5 star product!